The motifs in our "Fair Geekwear" collection are printed on organic cotton shirts and produced under fair working conditions. You can recognize these shirts by our eco-label. When you order one of our shirts, you are making a decision that helps the environment, the cotton farmers, the factory workers (spinners, weavers, seamstresses) and their families. You'll also be doing yourself a bit of good :). 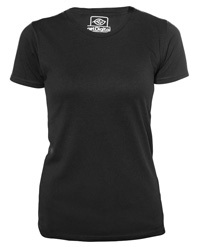 Most importantly, the seal means that cotton used in this shirt is a certified organic product. Organic cotton production uses a lot of water - 20,000 litres per kilo of cotton. That's why the plantations and factories are located in areas where monsoon rains provide 95% of this water. No pesticides are used in the cotton fields, the dyes are free of toxic chemicals, and the use of substances like toxic heavy metals, aromatics in solvents and genetically modified organisms is forbidden. If you want to know even more, you can visit the GOTS Homepage. The criteria for the GOTS seal go well beyond the Öko-Tex 100 requirements, but also include them. That's why the shirts are Oeko-Tex 100 certified. 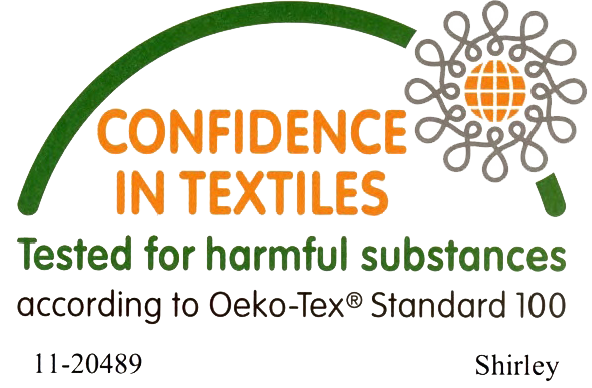 Oeko-Tex stands for non-toxic textiles. You can find more information about Oeko-tex here. The factories use wind energy, which means that carbon dioxide emissions are reduced by 90%. 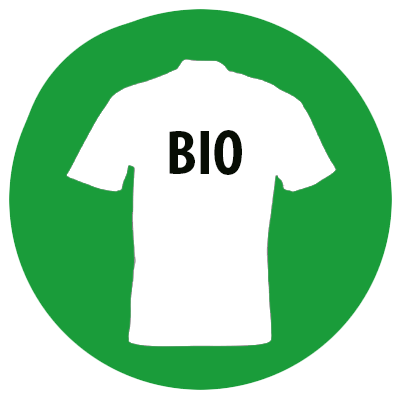 In addition, the shirts are transported to our warehouse via sea, which also reduces carbon dioxide emissions. 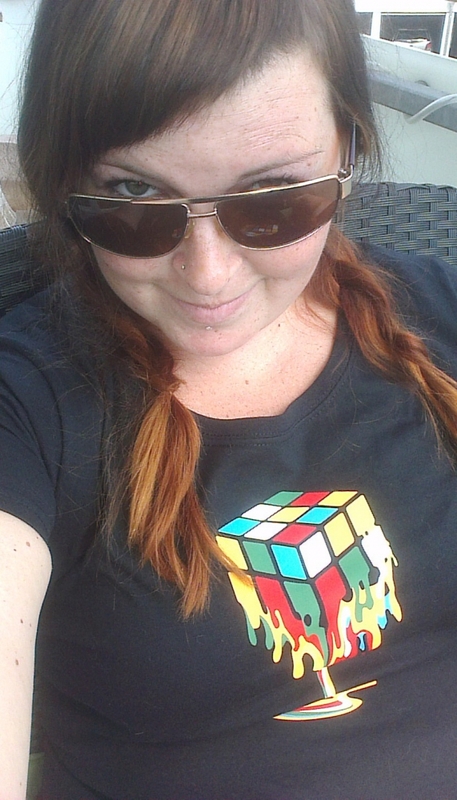 For our Fair Geekwear line, we only print on shirts from our supplier Continental Clothing Co., who is a member of the Fair Wear Foundation. What does that mean? No child labour: Rigorous controls and checks are in place to ensure that no children work in their factories. Fair pay: Every worker receives a minimum wage high enough to support his family without the children working. The workday is limited to eight hours a day, six days a week. Fair benefits: The workers also have the right to pensions, social security, sick pay and severance payments. Safety and hygiene in the workplace is ensured. For example, toxic chemicals that are harmful to the workers are banned. If you want to know even more, you can visit the page of the Fair Wear Foundation. 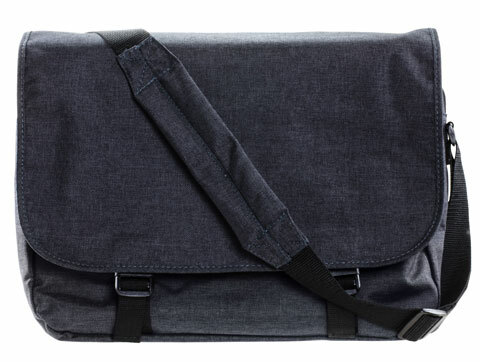 Our bag is not a Fair Geekwear product, which means that it is not fair trade or organic. The quality is nevertheless as high as you expect from us! Colors / Sizes / etc. 6 compartments: Main compartment with stuffed computer bag (for size up to 15.6"), compartment with zipper in the front, small compartment with zipper and net front, cell phone bag with hook-and-pile fastener, two small pen holders, snap-hook for a key. Additional bag with zipper on the back. Features: Lid with plastic connectors, adjustable shoulder strap, additional strap for hand carriage. 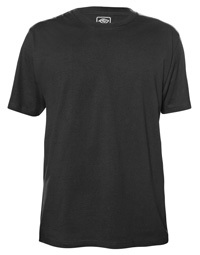 100% Certified Organic Cotton, 300g. 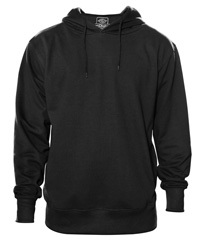 Our Hoodies have two bags for your hands. 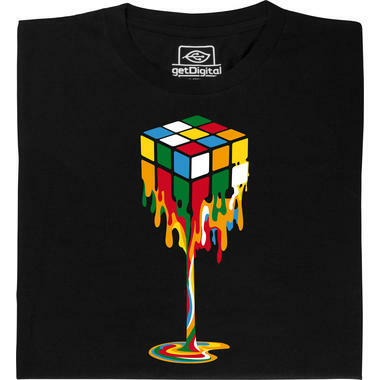 from 5,95 € lade... Magic Cube These Magic Cubes will definitely test you! 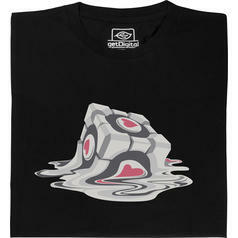 from 21,95 € lade... Fair Geek Wear Melting Companion Cube T-Shirt The melting Companion Cube from Portal. 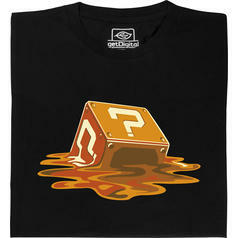 from 21,95 € lade... Fair Geek Wear Melting Question Mark Block T-Shirt This shirt shows a dissolving arcade block. 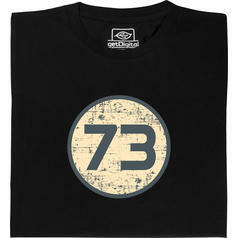 from 22,95 € lade... Fair Geek Wear 73 Sheldon Shirt T-Shirt 73 is the Chuck Norris of numbers! 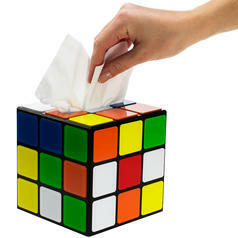 19,95 € lade... Magic Cube Tissue Box from The Big Bang Theory Refillable box to store tissues, just the way Sheldon likes it! 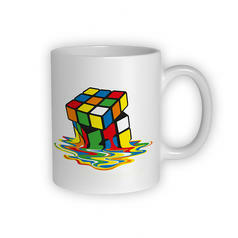 9,95 € lade... Melting Cube Mug Remember: don't leave your magic cube out in the sun too long!